1. 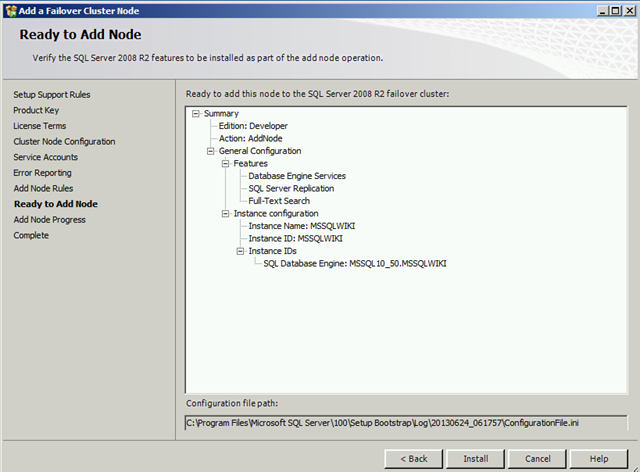 To add new node to existing SQL Server failover cluster, from new node invoke Setup.exe installation media . 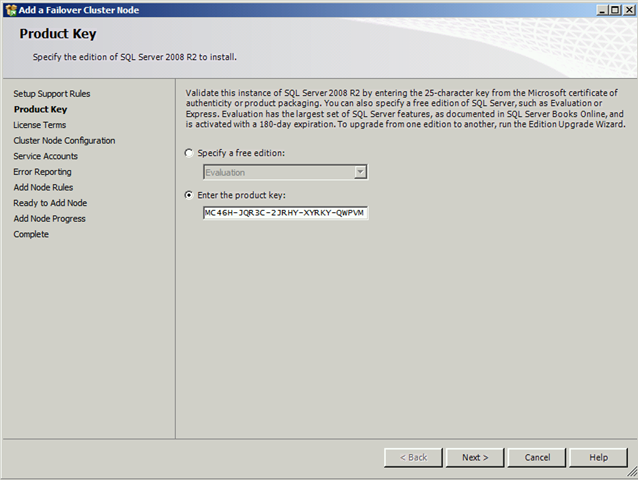 2.The Installation Wizard will show the SQL Server Installation Center as shown in below image.Click Installation an then, select Add node to a SQL Server failover cluster. 3.Install the setup support files. 4.After setup validation ,you will get details about operations completed,Click Next and continue. 5.On the Product key page, specify the Product ID key of the product. Click Next. 6.Then read and select the check box to accept terms and agreements.Click Next. 7.Then in cluster Node configuration choose the SQL Server instance name and Current Node which we are adding would automatically appear in “Name of this node” . Click Next and continue. 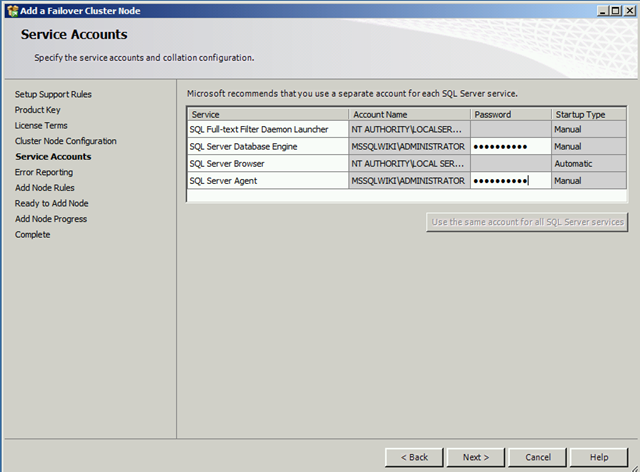 8.On the Service Accounts page, specify login accounts for SQL Server services.Specify strong password for each account.Click Next after finishing. 9.On the Reporting page by default the option for error reporting is enabled.If you don’t want, disable it and continue. 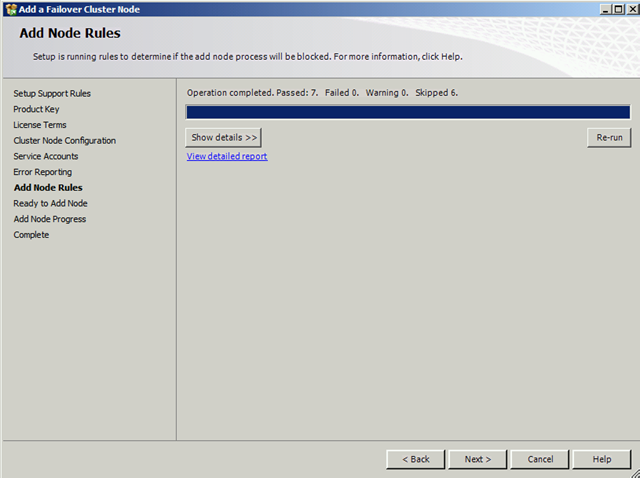 10.Add Node rules page provides the information about operation completed. 11.Ready to Add Node page displays the options that were specified during Setup. Click Install. 12.Add Node Progress page provides the status of the installation process. 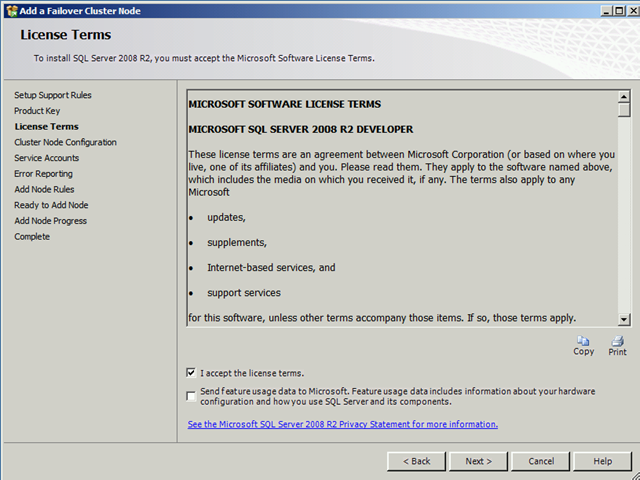 13.After installation, the page provides the summary for the installation. 1.After installation you could move the service between all nodes. 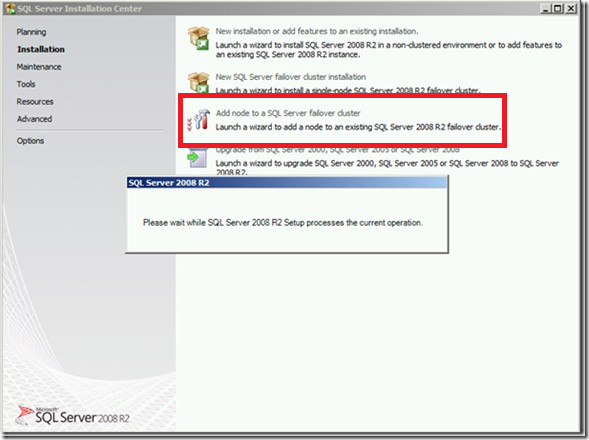 2.Open failover cluster manager->expand SQL Cluster->expand services and applications->select the SQL Server group –> Move this service or application to another node –>Choose the newly added node. 3.After moving the resources to newly added Node check if all the resources are able to come online on newly added node. 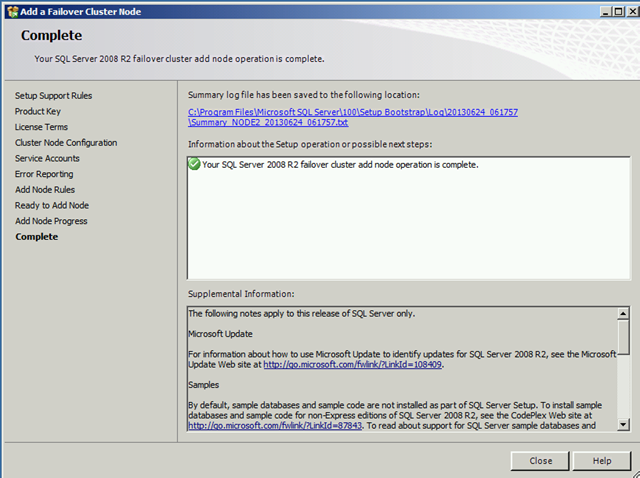 This entry was posted in MSSQLWIKI and tagged Add node to SQL Server cluster, how to add node to sqlserver 2008 cluster, how to add node to sqlserver 2012 cluster, SQL Server cluster adding node. Bookmark the permalink.